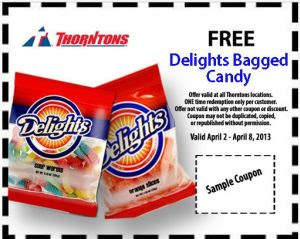 Get a free bag of candy April 2nd - April 8th, 2013. Click the link below to go to the Throntons Facebook page. Once on their page "Like" them and get the coupon for a free bag of candy.